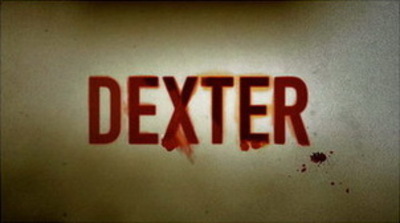 Recently David Nevins, president of Showtime, stated that the network was discussing a new Dexter-themed show. He was sketchy on the details and on the level of commitment, first saying that “they talk about it often” and then turning around to say “we’d have to have a good reason to do it”. After the lackluster finale, would you be keen to see Dexter return? I hope so but doubt it. Michael C Hall is doing stage plays now. I'll watch it all over again on DVD and he was really good in 6' Under (as was Rachel Griffiths) as well, so worth another watch. Great series but it should have had a happy ending..
Not particularly -this is one I have not often watched but did watch it a few times -I am rather sick of this type of show and am now tending not to watch detective/crime show -I think this is on channel 10 and am getting sick of commercial channels always being late. My wife and I really liked this show for the first few seasons, I don't know why we stopped watching Dexter but I think we'll have to remedy the fact that we haven't seen the show all the way through, particularly after hearing all the complaints about the finale. If a show ends poorly, then I think it's a good thing to have it return, it's a chance to right some wrongs. I also have not seen it all the way through, hubby has though and was unhappy with the way it ended. Although I haven't seen Dexter, if it had a disappointing ending, fans might want to see it picked up, so that the ending isn't really the ending at all, and they can get a more satisfying story. I never liked this show. The whole premise seemed really unpleasant, and I just couldn't get into it. Lots of my friends did enjoy it, but I couldn't identify/sympathise with the main characters at all. Yes if it returned to the standard it started at in the early episodes . I hope so. I loved the original series. The CW is after a third superhero show to join Arrow and The Flash, who should it be? What is your favourite show to come out of New Zealand? Jason Momoa as Aquaman, what do you think?